It’s always exciting when our franchisees come up with great ideas for local marketing that have a huge impact—not just on sales, but also on their communities. 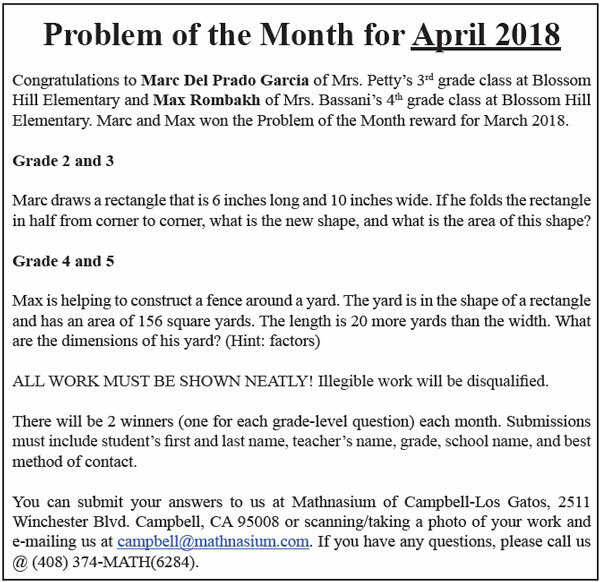 Kobad Bugwadia, Owner/Center Director for Mathnasium Campbell-Los Gatos, had one of those ideas with his “Problem of the Month” run in a local newspaper. We are sharing it, as well as some of his other community-building activities, for franchisees who may be interested in emulating the tactics in their local area. He conceived this idea after noticing that newspaper readers often seek out favorite features or columns, such as the crossword puzzle, Dear Abby, or Sudoku. 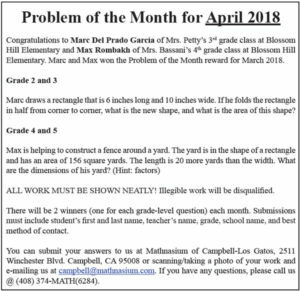 He thought, “Why not a math ‘Problem of the Month’ that local kids could look forward to?” It would be a great way to stimulate kids’ math interest and involve the local schools. 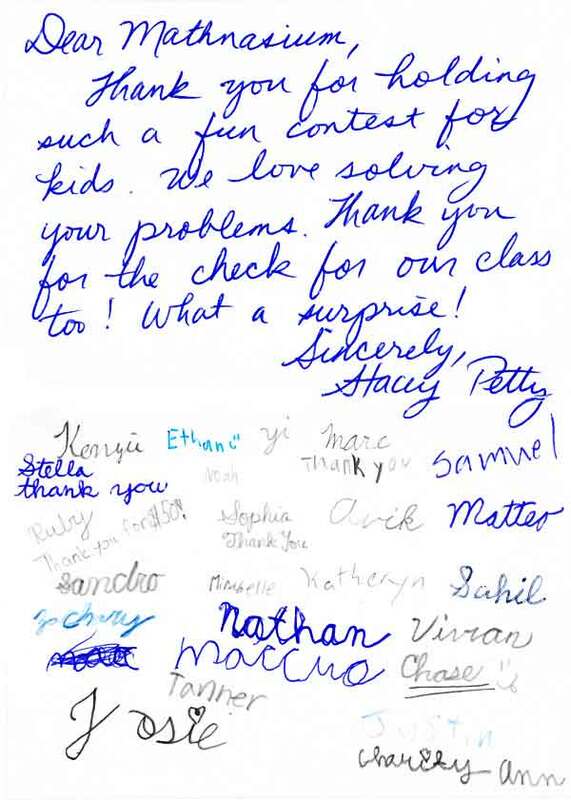 Students could compete to solve the problem, and the winner would receive a $50 gift card for their class, a $10 Amazon card for themselves, and their name mentioned in the following month’s column. He needed an outlet. Fortunately, like many franchisees, Kobad had a long-standing relationship with a local newspaper. He regularly advertised through The Campbell Express. The paper had already run several articles about the center, including covering the center’s ribbon-cutting and TriMathlon. He figured it couldn’t hurt to ask, so he approached the newspaper’s publisher with the concept. The publisher saw this as a great addition to the paper, and he jumped on board right away. Kobad personally contacted 15 local schools to make them aware of the contest and that they would receive newspapers with the column each month at their school. He pays the newspaper $75 per month to send three copies of the paper to each school (he supplied the mailing list) and to get 20 copies he can display in the front of his center for parents. The school connections Kobad made through the Problem of the Month made it easier when he approached elementary schools to host Math Nights. 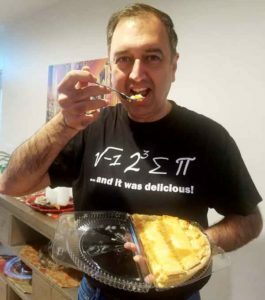 Since January, he has hosted three extremely successful Math Nights, including one that saw 450 visitors! Although the Math Nights targeted the younger set, even enrollment of middle schoolers even jumped after they volunteered at Math Nights. The Problem of the Month has proven to be fantastic publicity for his center, but Kobad runs the contest for more than mere brand recognition. It’s also about what the Mathnasium brand stands for. In terms of giving back to the community, Kobad goes far beyond sponsoring local walkathons and jogathons with logo’d t-shirts. Each year, he gifts 8-10 scholarships per year to local schools. Each scholarship includes one month’s enrollment plus a free assessment, for an estimated value of $345 apiece. What’s more, for the last two years, he has also partnered with the non-profit Community United San Jose (CUSJ), which helps underprivileged youth, by offering six summer scholarships. 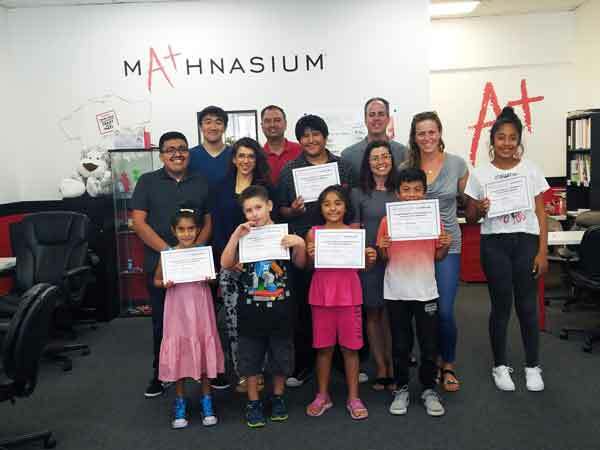 Scholarship recipients attend Mathnasium twice each week. At the end of last summer, the center hosted a graduation ceremony for the students and their families, where Campbell Council Member and Vice Mayor Paul Resnikoff presented the kids with their certificates. The event was covered, naturally, by The Campbell Express. The benefits to the center continue: After seeing how the scholarship recipients benefitted, the executive director of the CUSJ program and a member of the organization’s board of directors both enrolled their own children at the center. Kobad has no doubt that his goal of community outreach and public relations to the schools has also resulted in visibility to and awareness from parents, who are keen to take teacher recommendations when searching for supplemental education. Earlier this year, his center crossed the 200-student enrollment mark. We hope that Kobad’s ideas inspire our franchisees to engage with their local communities on every level. It’s proof positive that the energy put into building local relationships benefits all those involved. 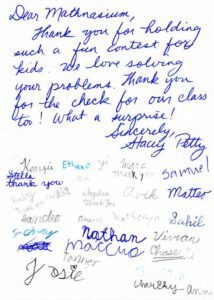 4 users comments for " Local Marketing Innovations Pay Huge Dividends for Center and Community "
Kobad – what a great story. I love ideas to connect with local schools. 2 questions about logistics: do you use the Mathnasium Problem of the Week for your source? and how do you choose 2 winners out of 100 entries? I’m thinking more than 2 children get the answer right…. Cudos for coming up with a great idea. I have the same question as Sylvia. How do you choose a winner? My name is Wayland Yee and I am one of Kobad’s assistant center directors and I wanted to respond to your questions. Regarding how to select a winner, you are correct, there are definitely more than 2 correct answers each month. First, I sort out the correct answers from the incorrect answers. After that, it’s a lottery system where I assign each correct answer a number, and use a random number generator to select the winner. As for generating the problems, I am constantly on the look for interesting and challenging problems. Often times I will look at the problem of the week posted here. Other times I will try to take topics from a higher grade level and see if I can break down the steps into a problem that may work for the grade level. The problem in the picture for the 4th and 5th grade is a perfect example of allowing them to play with the number sense required to factor a quadratic equation. What a great grass roots idea to increase awareness, foster healthy relationships with our partners in the schools, and keep kids excited about math! Well done Sir. I plan on shamelessly stealing your idea and using it to inspire kids in my territory. Thanks for sharing this!